Read more about it at the Peculiar Show Blog. Become a fan at the Facebook page. Tomorrow I get to see an idea come to life. Last year, after hearing about how churches were taking minister into the community, I came up with the idea to have our choir and orchestra take the music they already knew for Christmas and perform it in a free concert for the community. I booked an outdoor amphitheater, and we worked it all out. Everything was set, and the only day it rained in December back in 2010 was the day of the concert. So we cancelled the event. 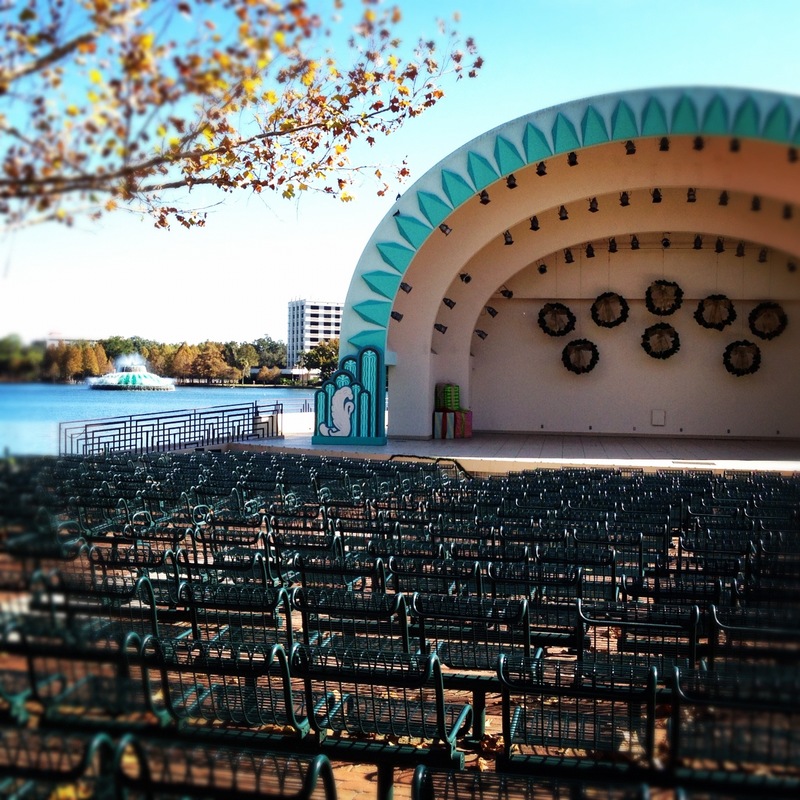 This year we scheduled it all again, and tomorrow we will have 2 presentations at Lake Eola’s amphitheater in downtown Orlando. No rain is expected. Choir, orchestra, singers, kids choir, and more will bring some Christmas cheer downtown. The best part is that the Gospel will be shared with people who don’t normally go to church. And it won’t be word, since at CHRISTmas it is natural to talk about Christ. We advertised with radio, social media, and direct mail. I have no idea how many people will be there. Maybe a few hundred, maybe a couple thousand. Whoever comes, it won’t be our normal church crowd. And I’m praying for them to hear the store of Christmas, and truly believe. UPDATE- between the two concerts, we had over 1900 people attend. We estimate that at least half of them were not attached to our church. Godtube and Intellectual Property: Arrr! Where’s my Eye Patch, Peg Leg and Parrot? I may start searching Godtube for maps to buried treasure. X marks the spot. For fun the other day I headed over to Godtube to see how many of the highlighted videos came from Youtube. Of the eight or so I looked at, the only ones that did not have an exact counterpart of youtube were ones put up by Christian companies that sell videos. I hope that there are many original videos on Godtube, but I just don’t see them. What I see are tons of copyright violations. Our own church was victim of infringement via Godtube. I’ve had friends who have had the same happen. But, hey, we’re all believers, right? We are just spreading the Word! Does it matter if people watch the video on your channel or the Godtube channel? 1. If it’s just about spreading the Word, or making a clean place for the faithful to watch, who gets money for the ads? Is the person that stole the video sending it over to the person they stole it from? Somehow I doubt that. 2. Who is getting the social media information? Like number of visits, and demographics, and such? Is that information forwarded to the actual video owner? That would be another no. 3. Is the person who stole the video sending viewers back to the owner’s site for updates and to subscribe, and helping build the network of viewers and contacts that social video brings? Again, no. Now, I’m under no illusions, I know that the same sort of piracy goes on at youtube. The same video taken and put on Godtube has been copied multiple times on youtube. But youtube isn’t call “Godtube” and isn’t populated by Christians. I expect people who claim the name of Christ to hold themselves to a higher standard. I’ve never been a big fan of the idea of Godtube. It is the epitome of Christian subculture. The site is a Christian ghetto of copyright violations and marketing to religious people. It is the opposite of being salt and light in a dark world. It’s a bubble of religious content. And as far as I can see, much of the content has been stolen. If the community at Godtube will not police itself, stronger measures should be taken to protect copyrighted content. In the meantime, I’m considering adding a watermark to every video with our youtube channel address on it. So even if it is stolen, viewers know where it came from. I saw this article in my twitter stream, and wanted to share some of it with you. It’s “Five Myths about Young Adult Church Dropouts” and references a new book by David Kinnaman called “You Lost Me.” The article reviews some Barna research that shows how some of our common conceptions about why younger people are leaving the church are wrong. I was particularly interested in part of Myth #4, which talks about biblical illiteracy. Did you catch that? He is saying what we have seen for some years now. Christianity is not the default religion of America anymore. I had a conversation with a new believer today. She has not been to church since she was a small child. Her daughter and grand children have never been to church, their whole lives, until they came to our Christmas presentation last week. They did not grow up knowing much of anything about the Bible, other than what media has taught them. And people this age consume a huge amount of media. If we have any hope of reaching these generations, we must engage the culture. I do not mean engage, as in “attack.” I mean engage as in interact with it. We need to tell the story of the Gospel in ways it understands. We must use media, which younger people are consuming in massive quantity, to communicate. of course, this isn’t new. Christians have been “using media” for decades. But we are using it in ways we like, and understand. We are not using it in ways the people we should be engaging like or understand. Even among lifelong Christians, religious programming is considered lame. There are shows I just cannot watch. Don’t get me wrong, I enjoy a good worship service on TV as much as the next guy, but these are not produced with the non Christian in mind. When an irreligious person stumbles on such a program and has an encounter with Christ, it is truly the work of the Holy Spirit. Mark Ramsey was speaking to the National Religious Broadcasters Convention in early 2011, and he asked the crowd to look at their media offerings. I’ll never forget his question: Are we offering media in a way that is easy for us, or in a way that our audience wants to receive it. In all too many cases it’s because it is easy. It is easy to take the service we already produce and put it on TV. It is easy to record the audio of the sermon and play it on the radio. And if our audience wants that, then we are doing great. But if our audience is not the church crowd, repackaging church content is not the best way to reach them. For me, the choice is simple. If we are to help younger non Christians become “biblically literate,” then we have to use media to show a biblical worldview. And we must use it in a way they like to receive it. 18-34 year olds use social media, watch video online, and like comedies. So, my show is targeted at that age, is a comedy, and will be delivered online. I doubt it will win an Emmy, but I pray people will watch it. Dear Paypal, Why Do You Think I’m a Thief? I woke up to a disconcerting letter from Paypal today. After being a customer for years without incident, suddenly I am classified as a high risk account, and they will hold all payment for put to 21 days. The only incident I ever had resulted from a buyer giving me the wrong address, and then opening a claim with no communication when his item did not arrive. It was resolved when the Post Office delivered the package back to me, and I sent it to him again, at my cost. 100% the fault of the other party, and I resolved it to the buyer’s satisfaction. That was years ago. We’re writing to let you know about a change to your PayPal account. Starting 12/2/2011, money from payments you receive will be placed in a pending balance for up to 21 days. By doing this, we’re making sure that there’s enough money in your account to cover potential refunds or claims. We reviewed your account and determined that there’s a relatively higher than average risk of future transaction issues (such as claims, or chargebacks, or payment reversals). We understand that it may be inconvenient to have your payments temporarily held but please know that we didn’t make this decision lightly. Hello, after years of loyalty, with only one incident years ago which ultimately was resolved in my favor, I got an email today saying my account has been changed so that all future payments I receive will be placed in pending balance for up to 21 days. Why does my account have a higher than average risk of future issues, when there have been no issues on my part in the past? You said you didn’t “make this decision lightly’ in the email, I’d like a detailed explanation as to why you did make this decision. I know that modern western civilization doesn’t value honesty and integrity very much anymore, but I do. And I take offense at your actions. It is just shy of calling my a thief, with absolutely no reason. In fact, my history shows that I have been nothing but above board. I’ve been a loyal customer for years. I deserve to know why this has happened. The form letter goes on to describe multiple situation where this could happen, none of which apply to me. I went and checked my seller rating with eBay. My performance is Standard. My policy compliance is High. My ratings range from 4.8 to 5.0. I have 100% positive feedback. And have had it since 1997. Paypal is one of the few online businesses that has a fairly easily located phone number. So I called them. The first person I talked to confirmed that confirmed that this really isn’t about high risk accounts, but is about the number of transactions I execute. I asked to speak to his supervisor, who also said the only reason I am labelled “high risk” is because I do not sell a lot of stuff. I asked her to pass on my feedback. I take my integrity seriously. I do not like being classified as higher risk when my actual account history shows I am very low risk. I suggested they reword their nasty-gram email to reflect the real reason they have decided to hold my payments: I don’t do enough transactions that generate enough fees for them to take any risk at all. I understand their business decision. I don’t like it but I can understand it. But Paypal really needs to do better PR. Both the email and the form letter response left me feeling like a person of suspicion. I’m no theif, and Paypal has no reason to think I am. They really shouldn’t imply it in their emails. Update: I got an email reply from a real person, who basically said what the other customer reps on the phone did. I replied to him with the same thing I told them. Then I got a survey from Paypal about the whole matter. I took the time to share my honest opinion with them.